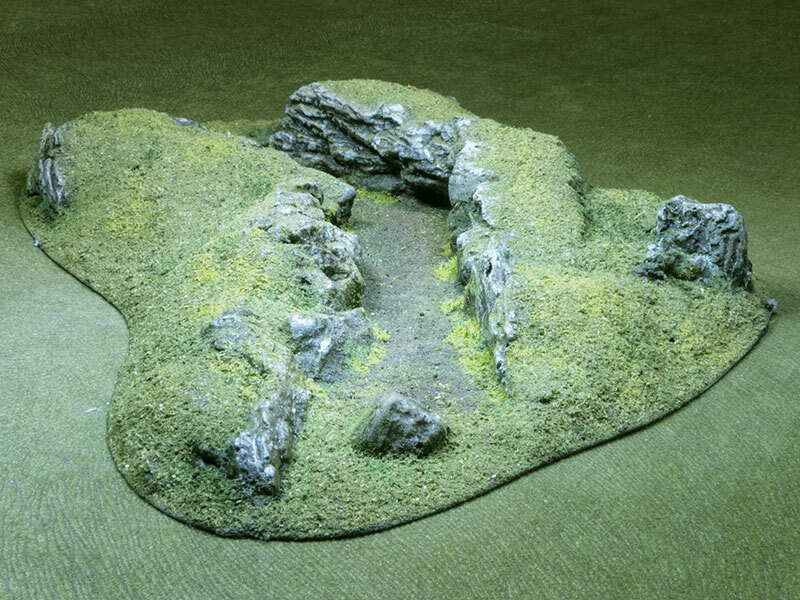 This is my latest terrain piece for my tabletop games, a small gorge. It's about 300 x 150 mm, and at its deepest the gorge is about 30 mm deep. It's not wide enough for vehicles in any scale larger than 6mm or 10-12mm. Maybe a jeep in 15mm, certainly nothing larger. There's just enough of a bend in it that you can't see right through from end to end. I suspect that the rock formations would make geologists clench their fists and grind their teeth, but fortunately, I'm not a geologist. 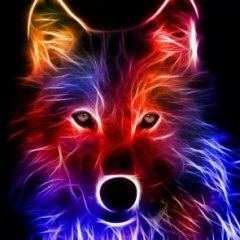 Thats cool I like it. 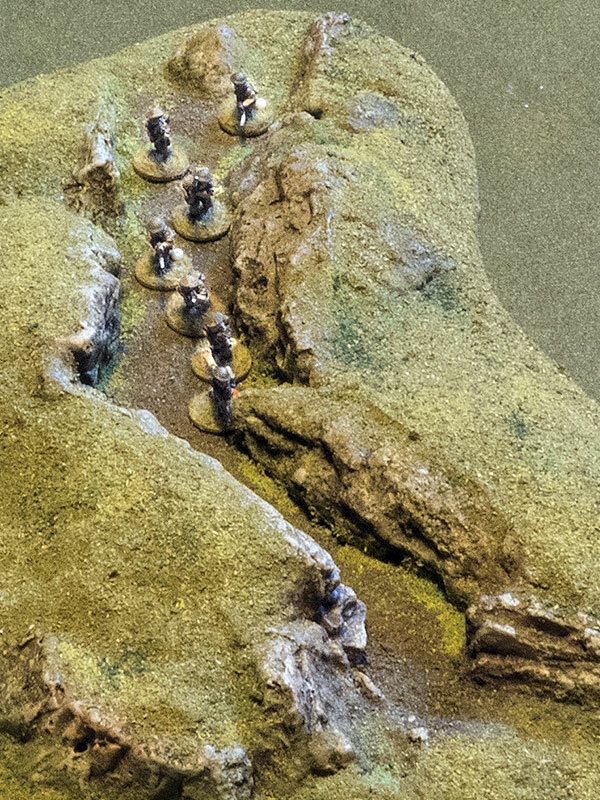 At first I thought of suggesting some weedy plants on the top but thinging for gaming, it would be better without them so you can place ambush troops. Made with foam? No, it's all cast plaster (for the rocks) and SculptaMold (which is a paper fibre and plaster mix) for the rest of the groundwork. The dirt and vegetation is all home-made sawdust flock. It looks great and very table top useful ... 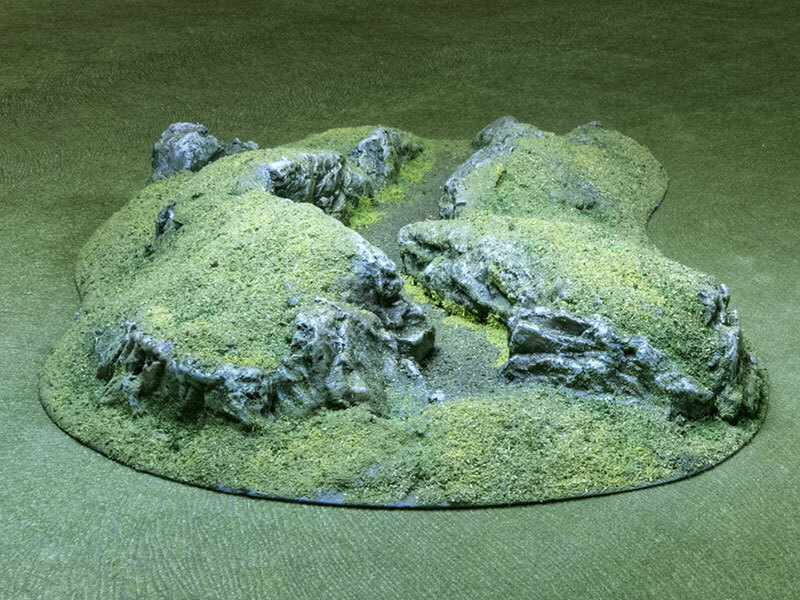 I suspect most geologist would appreciate the natural look and detail and support your effort to bring their subject of study to the table top community. I wouldn't leave SculptaMold edges completely unprotected, but if it's on a base (I use 3mm MDF with chamfered edges) it stands up to a reasonable amount of punishment. It's stronger than plaster alone, but not as strong as resin or plastic, of course. Good to know ... the results defently look great. 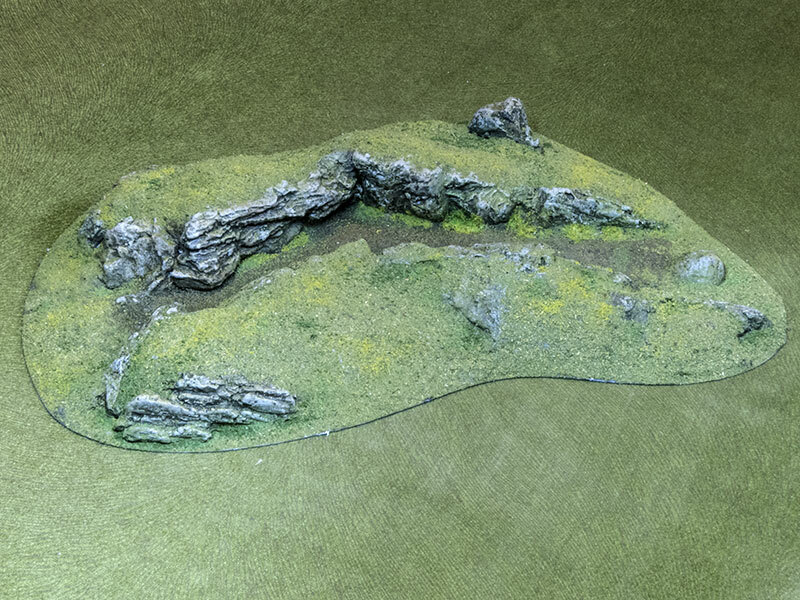 That's a very nice looking piece of terrain. 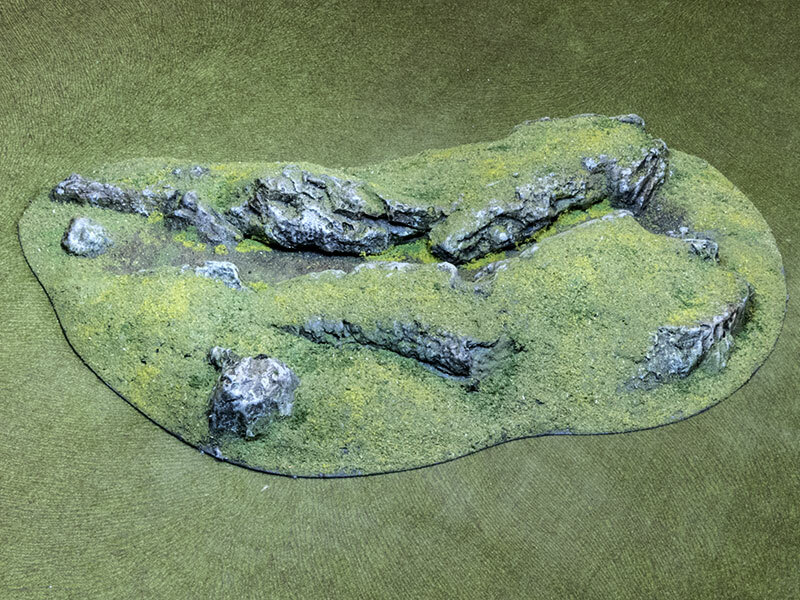 Here is some more of my recently painted 3D printed terrain. All were printed on my Creality Ender 3. They seem quite at home for Mordheim or Frostgrave.